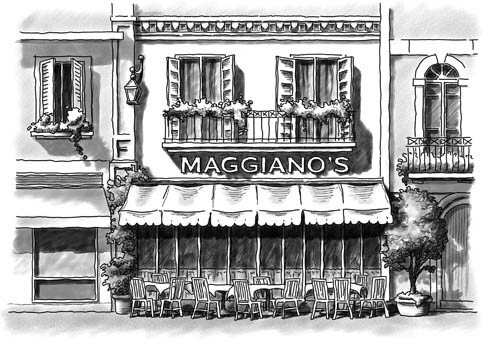 I recently had a meeting at my office with food catered in by Maggiano’s… an Italian Restaurant in the Chicago area. It reminded me that I did some illustration work for the parent company, Lettuce Entertain You Enterprises (LEYE), back in the 1990’s. Here is one such grayscale line and wash illustration done digitally in Painter software, using an Apple Mac and Wacom tablet.